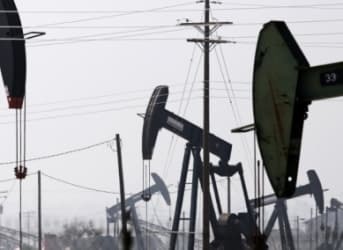 A landmark energy bill in California was watered down after facing significant opposition from the oil and gas industry. The California legislature was considering a bill that would have slashed the state’s petroleum use by 50 percent by 2030, but the Democrats decided to drop the provision in order to keep the larger bill alive. After seeing the bill pass the State Senate earlier this year, the legislation ran up against a deadline this week for the end of session. But the petroleum industry welcomed the removal of the oil reduction provision. “Today's announcement was an acknowledgement that California's energy future, economic competitiveness, and environment are inextricably linked,” Catherine Reheis-Boyd, president of the Western States Petroleum Association, said in a statement. California’s Governor Jerry Brown vowed to not give up. “Oil has won the skirmish. But they've lost the bigger battle. Because I am more determined than ever,” he said after the provision was dropped. “I'm more determined than ever to making our regulatory regime work for the people of California, cleaning up the air, reducing the petroleum and creating the green jobs that will put hundreds of thousands of people to work over the coming decades.” Related: Does Selling Oil From The Strategic Petroleum Reserve Make Sense? The bill, known as SB. 350, had three major provisions. First, it called for doubling the state’s energy efficiency in buildings by 2030. Second, it increased the state’s renewable portfolio standard, requiring California to source 50 percent of its electricity from renewable energy by 2030, up from the existing requirement of 33 percent by 2020. And third, it called for reducing the consumption of oil – mainly used in motor vehicles – by 50 percent by 2030. It was the latter provision that would have been the most difficult to achieve. It was also the most contentious. The oil reduction provision was dropped in order to salvage the other two objectives. California has consistently pioneered environmental policy over the last several decades. And since it has such a large economy – if it were a country, it would have the eighth largest economy in the world – what it does tends to convince other states to follow suit. That is why SB. 350 has been hailed as critically important by its supporters and extremely costly by its detractors.